1. Partial automatic fire sprinkler system installation in common areas. Also, one sprinkler head through the front door into each dwelling unit. When Is an ELSS – Engineered Life Safety System Required? 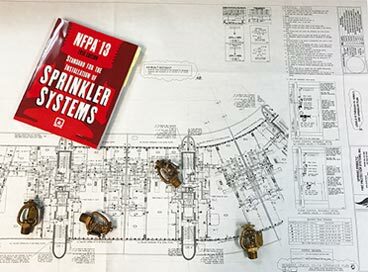 Provide Fire Sprinkler System Protection Throughout High-Rise by December 31, 2019. If a condominium association successfully opted-out by December 31, 2016, they are required to implement an ELSS (Engineered Life Safety System). All work required by the ELSS needs to be completed by December 31, 2019. Sprinklermatic Fire Protection Systems Inc. is a full service fire protection contractor providing Life Safety solutions in the best interest of our clients and their projects. We specialize in High Rise construction; we are the “HIGH RISE GUYS”. Team: With over 200 TEAM members, unparalleled bonding, design and installation capacity; there is no job too big or too small for Sprinklermatic. ELSS Services: We provide concierge Fire Protection service; turn key design and installation. We develop cost-effective / code compliant designs; utilizing the existing fire protection components within the building to achieve a cost effective approach. We will help you sequence and schedule the work; which is key to the ultimate goal…Completion; which allows you to get back to a normal life. Fire Department Relationships: Please ask your fire officials about our TEAM; they know us – they know our work; we are reliable, accountable and known for our competence and performance. Contact us today to discuss your Engineered Life Safety System – ELSS – needs. Non-union, state licensed, bonded and insured fire protection contractor. Our team brings 200 plus years of combined executive, estimating, design and installation experience. Our fire protection customers attest to the professionalism and expertise that we bring to each project. We are the solution to your life safety needs. We take pride in performing with expertise, integrity, and accountability. Our technicians and skilled labor employees are professionally trained, appropriately licensed and certified. Emergency service available 24/7/365. Reliable technicians quickly recover fire and life safety systems while minimizing damage to physical assets. Contact us for your ELSS – Engineered Life Safety System needs.